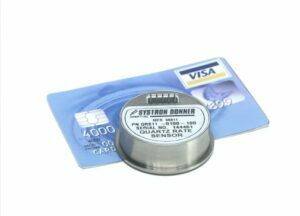 Systron Donner Inertial (SDI), a brand of InnoVista Sensors™ has been awarded a Firm Fixed Price Contract in the amount of $2.7M by Bell Helicopter, a Textron Inc. Company, for the delivery of a Commercial-off-the-Shelf (COTS) QRS21 Multi-Axis Quartz MEMS Gyro System. This initial contract release is for hardware deliveries starting in 2016 through 2018 and includes options for annual releases out to 2021 worth up to $4.8M. The QRS21 is an integral part of the Flight and Stabilization Control System used on the Bell AH-1Z and UH-1Y attack and utility helicopters. The core of SDI’s QRS21 solution is the COTS QRS11 quartz rate sensors, still the industry’s first and only MEMS-based Quartz flight control box delivering extremely stable and reliable field proven performance over varying temperature ranges and high vibrational environments. The H-1 helicopter triplex flight control system is configured such that each QRS21 flight control box provides for both primary and redundant gyro information per axis. For further information and specifications on the QRS11 used in the QRS21 flight control box, or for information on the complete SDI product line, visit www.systron.com.